Includes the front & back of the dollar, and heads & tails of the fifty cent, quarter, dime, nickel, and penny pieces. 66 pieces on heavy cardstock die cut for easy separation. Set of 8. 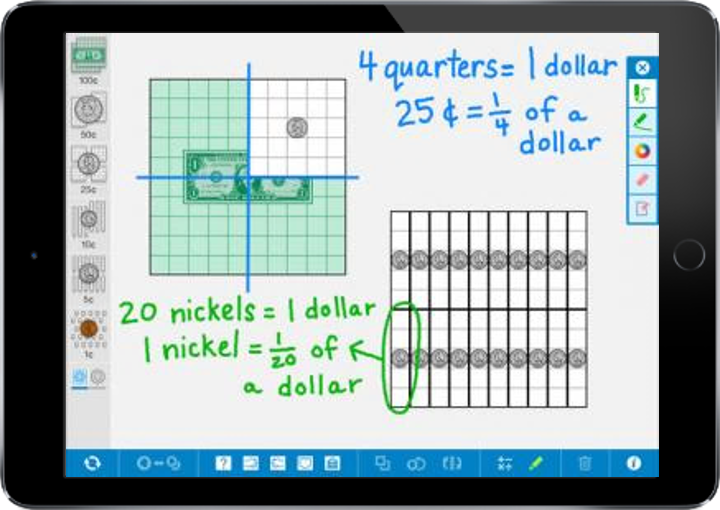 Students use the Money Pieces app to visualize and understand money values and relationships. Two versions of coins and bills are provided: virtual currency pieces that replicate the appearance and relative size of U.S. coins and the dollar bill, and area money pieces. 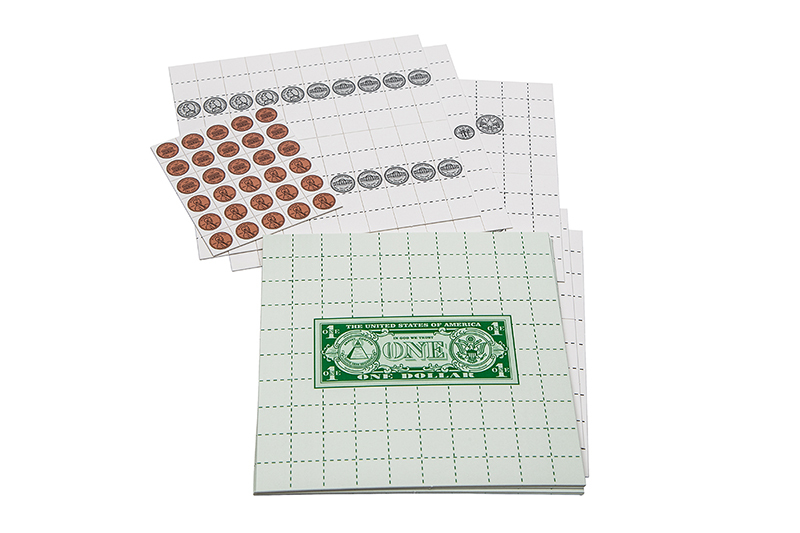 Area money pieces represent the values of coins and the dollar bill using an area model in which 1 square unit is equal to 1 penny. 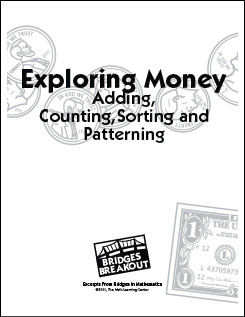 Exploring Money strengthen students’ understanding of money through 35 weekly sessions that provide practice identifying, counting, and adding coins. Requires some materials (cards, etc.) to be created from included blacklines.